A collection of all the ‘How to…’ articles that have been published in BSAVA’s member magazine, Companion. 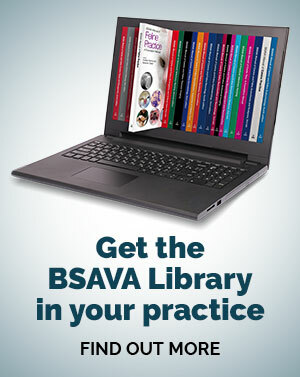 These articles are available free to BSAVA members. Georgina Gent on what can be the daunting task of identifying the underlying cause of ‘red eye’. Part 1 of this How to… concentrated on gathering information by observing the patient. Part 2 is about the hands-on neurological examination. The first part of this How to… covers observation and the localization of the lesion in the neurological system. Spinal radiography can be used to diagnose many osseous and some soft tissue spinal lesions. Victoria Doyle discusses the technique’s uses and limitations, and how to interpret the radiographs. Hyperadrenocorticism, Cushing’s syndrome, is a common canine endocrinopathy resulting from excessive cortisol production. Simon Tappin discusses the diagnosis and treatment of the condition. Neck pain is common in dogs and can be associated with many different conditions. Causes, clinical signs diagnosis and treatment are discussed. Horner’s syndrome is a common neurological disorder affecting the eyes in both dogs and cats. Symptoms, diagnosis and treatment are described. Jon Wray describes the identification and interpretation of common ECG abnormalities. A previous How to… (Companion February 2011) described the indications for and practicalities of taking an ECG. This article discusses the interpretation of the ECG. Corneal ulcers are relatively common and while most heal within days, some do not. The reasons for this and an explanation of the management of the condition are discussed. Cutaneous markers of internal disease are highly specific for, or diagnostic of, particular systemic disorders. Most are uncommon, but well described. Laura Buckley summarizes the clinical presentations and diagnoses. 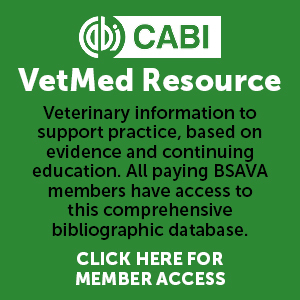 Vascular access is a vital skill in small animal practice and while generally straightforward in a healthy animal it can be more challenging in very small or debilitated patients, or when long-term access is needed. Nele van den Steen describes the process. An animal that is drinking and urinating more than normal can be a diagnostic challenge with a long list of possible differential diagnoses. Simon Tappin describes the procedure. Preparing the patient, inserting the needle and three techniques for removing fluid from the pericardial sac following pericardial effusion are described. Chylothorax is an uncommon condition in both dogs and cats and though straightforward to diagnose is challenging to treat and manage. Alasdair Hotston Moore offers his advice. Cats are generally living longer and that’s leading to the gradual onset of conditions that owners don’t always spot. Sarah Caney on what vets should look out for in older feline patients. Anorexia is a common reason for tortoises presenting at veterinary practices. Poor husbandry is often the cause. John Chitty describes the signs, diagnosis and management of the condition. A step-by-step description of when and how to place a chest drain, and the equipment needed. At the time of writing there were no feline blood banks so blood has to be collected at the time of need. Danielle Banks describes the practicalities. Practical advice on how to maximise the performance of the practice laboratory.